Harley-Davidson, the company synonymous with big, loud American motorcycles, is trying to figure out how to make money because demand is quickly sinking for big, loud, American motorcycles. Sales dropped 10.2 percent last year, and the Motor Company’s stock value has roughly halved over the last two years. Yes, Harleys are squarely within the category of Things Millennials Are Killing. Fortunately, Harley-Davidson has a plan of sorts. According to a CNN report, the company is paying close attention to Bird, Lime, and other “mobility” companies using battery-powered products. The company didn’t tell CNN whether it’s looking to sell or rent products to consumers, but the larger question is whether the skills to make a good motorcycle transfer to making a good e-bike (or, for that matter, scooter). 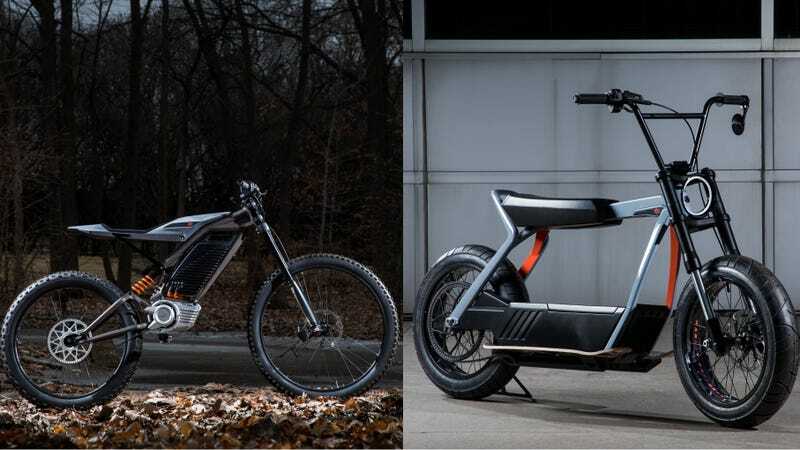 To demonstrate the possibilities, Harley released two e-bike concepts earlier this year which are visually striking but raise many questions about how they fit into the market. Both concepts use a throttle—in fact, they don’t have pedals at all—which means they would fall under a different regulatory framework than pedal-assist e-bikes used by bikeshare companies or available for purchase in many bike shops around the country. In short, these concepts would be regulated like mopeds, requiring a license and registration, and not as bicycles, posing a whole different proposition to consumers. And Harley is dabbling in electrification somewhat with the new Livewire, though its specs haven’t blown anyone away. But thinking you can make better e-bikes than e-bike companies just because you’re Harley seems like precisely the kind of hubris that sinks many legacy companies as they attempt a radical pivot. Time will tell, though. And if I’m wrong, I’ll eat their e-bike dust.